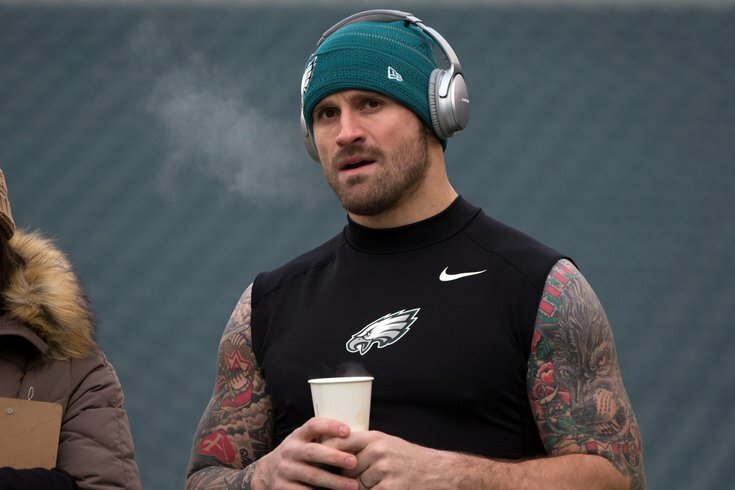 Philadelphia Eagles defensive end Chris Long was named one of five finalists for the 2018 Byron "Whizzer" White Award, which is "the highest honor the NFLPA can bestow on a player" on Tuesday. The NFL Players Association annually recognizes players who go above and beyond to perform community service in their team cities and hometowns. The Byron “Whizzer” White Award is the highest honor the NFLPA can bestow on a player. The NFLPA presents this prestigious annual award to the player who is just as dedicated off the field as he is on the field through community service in their team cities and hometowns. The winner, who will receive $100,000 for his foundation or a charity of his choice, is announced at the NFLPA’s annual Super Bowl press conference. Players from each team are told of the criteria and given the opportunity to nominate a teammate for the award during the NFLPA’s fall locker room visits. The award was established by the professional football players of America to acknowledge a debt of gratitude to one of their own, Supreme Court Justice Byron Raymond “Whizzer” White—scholar, athlete, patriot, humanitarian and public servant. The honor has been presented by the NFLPA since 1967. Long donated the entirety of his 2017 salary to charities. The NFLPA recognized Long for his ongoing efforts to enhance the lives of others through programs focused on youth, clean water, military appreciation and homelessness. The other four candidates are Colin Kaepernick, J.J. Watt, Andy Dalton, and Von Miller. Eagles safety Malcolm Jenkins won the award last year.